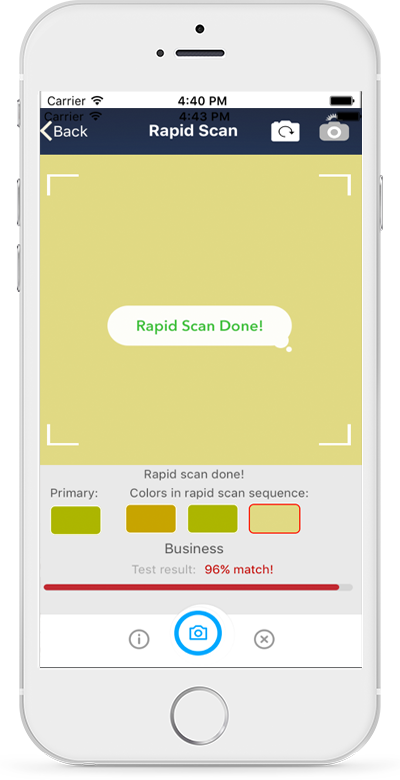 Using innovative patent pending technology and the power of color identification, Fashion Match (FM) enables you to group and match your favorite clothes and accessories based on color, style or mood with ease. 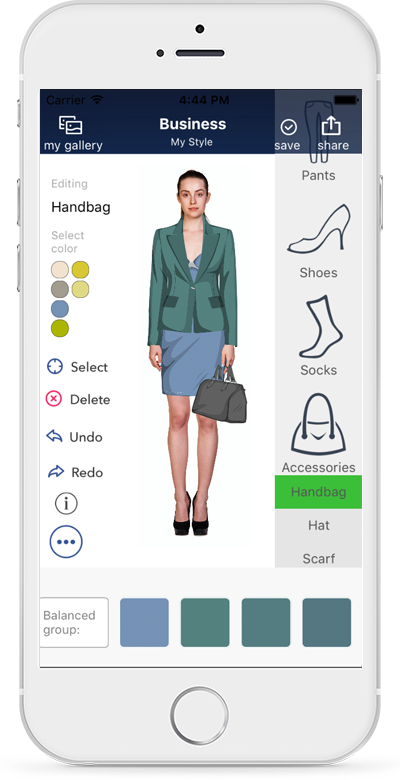 FM is designed for anyone, including visually impaired individuals, who want to find the perfect clothing match whether its within one’s wardrobe or even at a retail store and utilizes an optional dynamic speech service informs the user of the scanned color name and matching result instantly. A feature that scans an item of clothing, and initiates a rapid scan sequence for additional items. Within seconds FM computes how well each color complements a primary item. An optional dynamic speech service pronounces the scanned color name and match result. Imagine a portable design room that can be carried anywhere. FM allows the creation of designs, mix and match of colors, and the saving of collections for later review. Designs can be shared with friends through email or social media, and organized as a personal collections that fit a chosen style, favorite trend, or a season of choice. 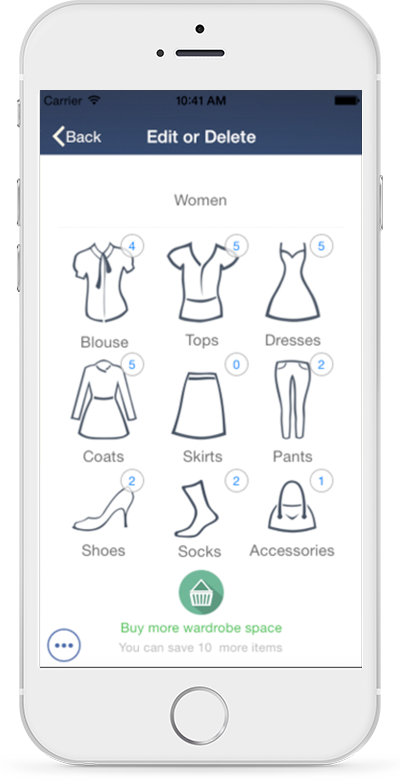 MyWardrobe allows the storage of an entire wardrobe in the palm of a hand! MyWardrobe makes it possible to scan and store any article of clothing, and informs the user what other items from a saved collection it compliments and matches. Skin tone, eye, and hair color can all be used to determine which colors make a person look great. 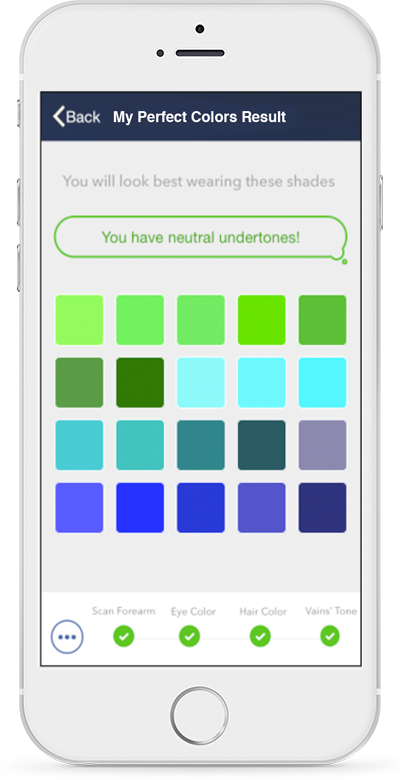 MyPerfectColor initiates a quick and easy scan, and displays the perfect colors that match a personal look. More features that include popular brands, designers, and access to personalized consultations from dedicated fashion advisers are coming with future releases.